Here is a classic from one of country’s greatest bands. I don’t know why, but I was thinking about the band Lonestar recently. It probably sparked interest when I heard one of their Christmas songs. It’s that time of year and Lonestar certainly did some good work on their Christmas album from back in 2000. That was the year Lonestar really broke out in the big time. 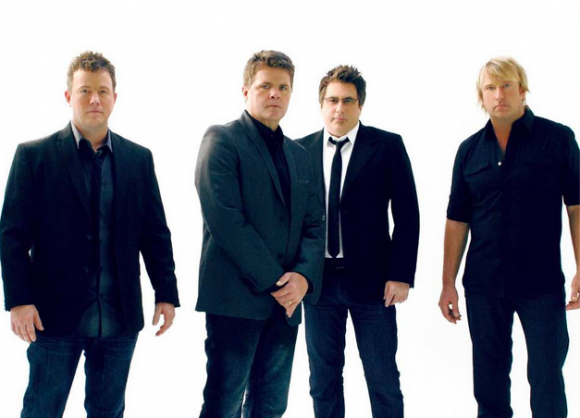 There are different stages in Lonestar’s career. There was the superstardom era that began in ’99 and ’00 when the song Amazed became one of the biggest country songs of all time. It’s hard to believe it’s already been 15 years since that summer. I remember they played at a local fair where I grew up and they had to play the song twice because fans were demanding it. But prior to that Lonestar was a pretty big deal in country music. They released two albums to start things off and both were very successful. The first came out in 1995. I guess that means the now-reunited band is coming up on their 20-year anniversary of that first hit. But today I want to focus on their second ever single, No News. The song was the group’s first number one on the Billboard chart. The song still gets played all the time on the radio. It’s got that kind of ’90s feel to it that was so catchy and so good. Fans loved it at the time and it seems people still love hearing it today. Lonestar had a great run in the ’90s and then they took things even further in the early 2000s, which is pretty crazy. Most acts don’t make it much past 3-5 years, but these guys had a great 10-year run. And they’re back together now and making new music. I wouldn’t count them out on coming up with at least one more big hit before they’re all through. But first let’s flashback to 1996 when No News was on top of the charts.